It costs around £500 per year to educate, feed and take care of each child, and more if they are in secondary school when we need to pay school fees. Sponsors give anywhere between £250 and £1000 per year per child ($400-1500). Money is sent to the bank account of Upendo UK charity who then make annual grants to the project in Kenya and to whom the project reports. 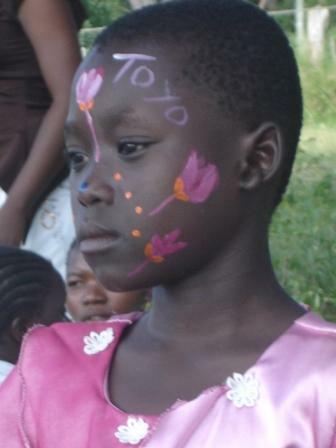 Please see our Contacts page if you wish to sponsor a child or help in any other way. We also receive donations of material goods in the form of food, clothes, toys and books. All of these are gratefully received and all are well used. The children do not get enough quality time with caring adults. If you can spare some time and come and read books with the children, kick a football or play some games, please do so. If you would like to help maintain our website, please get in touch. Organise a fundraiser for us. See here and here for examples. It is a huge pleasure and morale boost to us to welcome visitors. So please, whenever you are in Kilifi, drop by to see us. See our brochure for directions. For monetary donations via the UK or outside Kenya, please contact the Fundraiser and for material donations, visits and any other queries, pleas contact the Administrator. See the Contacts page for more information.